Wrap-Up Magazine: #Stream #NewMusic by Nieman Marcus - "Swang"
#Stream #NewMusic by Nieman Marcus - "Swang"
The Ohio music king wants to hear what the music critics have to say about Nieman Marcus hit single "Swang." This is one hot artist who have went unnoticed for too long. "Swang" is the anthem and the kick off to represent the I-75 interstate connection from city to city. Nieman Marcus lived in various cities while setting up studios recording never before heard artist from Michigan, Ohio, New York, Memphis, all the down to Florida. The song was first introduced by Lemarquis for the album 419 To The 662. This is a album that is buzzing for music lovers to hear. I guarantee you will enjoy every single moment of this record. 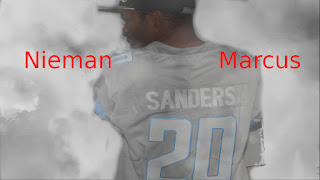 Nieman Marcus formally (Gansta Marcus) is one of the best producers out of Lima, Ohio.